Roger Federer wins Australian Open 2017 Men's title on 29th January. He defeated Rafael Nadal with a gripping 6-4, 3-6, 6-1, 3-6, 6-3 in just over 3 1/2 hours. The clash marked an extraordinary comeback for the players, both of whom have battled recent injuries and are older than most of their fellow tournament opponents. "I don't think either one of us believed we were going to be in the finals at the Australian Open... four, five months ago, and here we stand in the finals," Federer said. 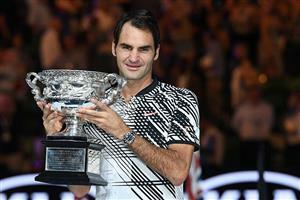 But Federer was obviously much the happier. "This is beautiful, but it's still much better, the (other) trophy," Nadal said as he looked at the runner-up trophy.